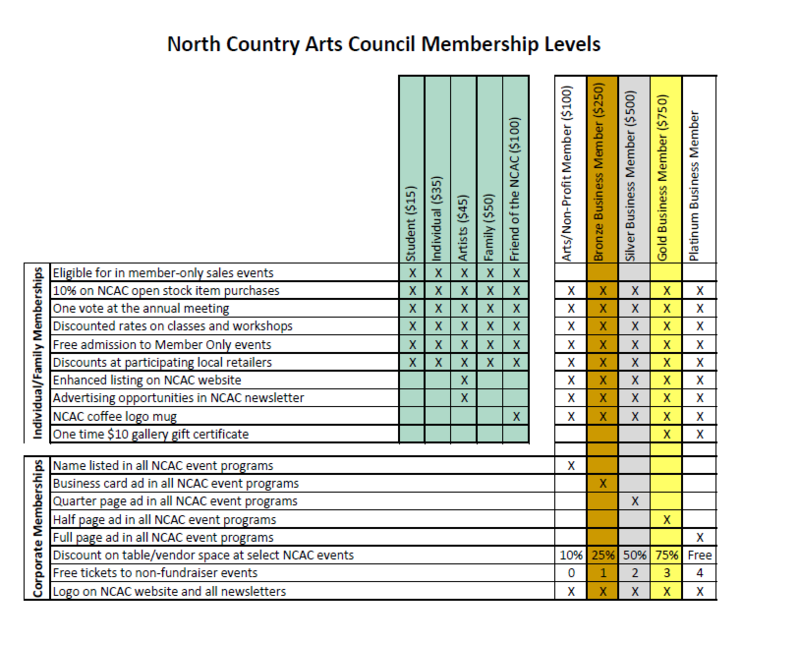 Membership in the North Country Arts Council is open to all members of the general public who wish to support art in the North Country or who are become artists themselves. Membership is available in multiple tiers. Our dues structure allows everyone to be involved regardless of financial situation.